Frederator Studios Blogs | Fred Seibert's Blog | Killing them softly. I’m incredibly proud to be associated with tumblr as a member of their newly formed board of directors. And today, two years after the launch of Channel Frederator, is the release of Tumblr 3.0, with over 400 new features big and small. 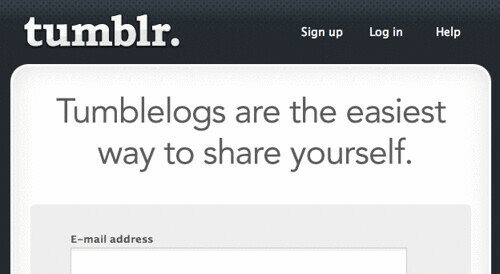 Why am I telling you, a cartoon fan, about this micro-blogging, tumblelogging, platform? Well, completely aside from the fact that if you’re thinking about starting a new blog, tumblr should be, by far, you choice for the easiest and fastest way to begin, tumblr was invented by the very same David Karp that “imagined” and co-created Channel Frederator and the Frederator Blogs. So tumblr aside, we all ought to be grateful. And to add insult to injury (wrong phrase exactly) tumblr is the inspiration and sponsor of Internet People. David began his association with Frederator as a 14 year old intern as he was starting home schooling here in New York. Putting aside plans for MIT, he started Davidville as a web development business two years later and imagined and engineered the über-successful Urban Baby. He started thinking about tumblr a couple of years later when he moved his company into the Frederator/New York space. Last year he brought in chief scientist Marco Arment (another great friend and amazing help to Channel Frederator and the Frederator Blogs) and together they’re killing the tech world softly with their song. And so it begins. Frederator postcards, series 6. Comment #1 by Frederator Studios Blogs | Fred Seibert's Blog | Tumblr rocks on. Comment #2 by Frederator Studios Blogs | Fred Seibert's Blog | tumblr founder David Karp, our bud. Cut off old-style comments here!